I agree to become a Member of Spa Chic Massage. I agree to pay $45/month for my membership each month on the date I signed up for the membership. Additional Members of my family will receive a membership for only $40/month. In the event I do not use my massage during the month I can bank it for another month, transfer it to someone else or gift it to someone via a gift card. 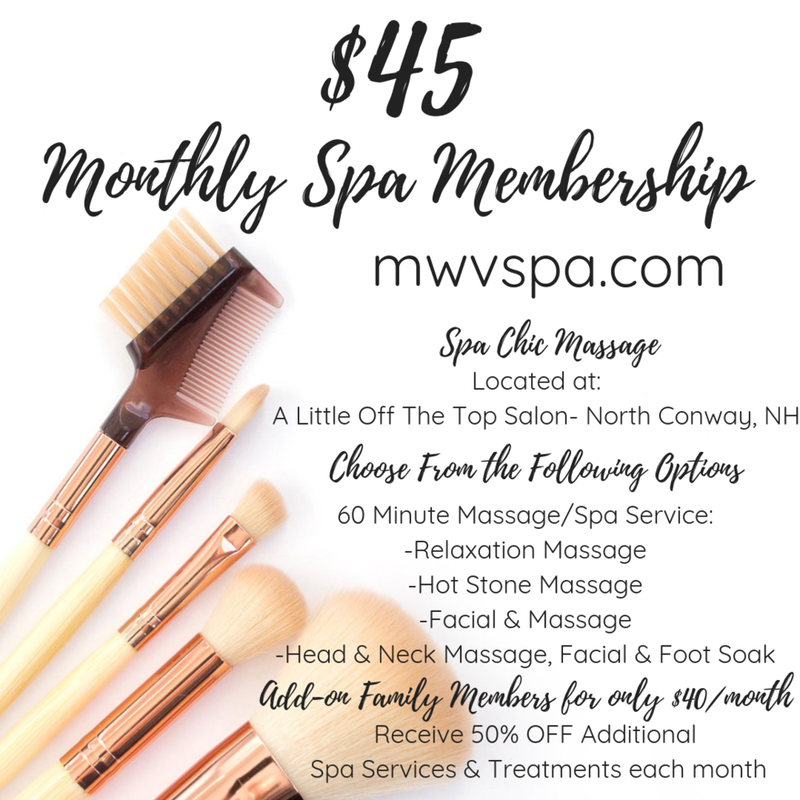 Becoming a Member makes me eligible for additional full price spa services at 50% off. I agree to join Spa Chic Massage as a member for 6 Months from the date of this agreement. Thank you! You’ll receive an invoice from Spa Chic Massage- Square Merchant within 48 hours. We are so excited you have chosen to become a member!